Why are you losing? Your team trains hard but in races you seem to be ploughing through the water or dragging the back end of the boat. Your sweep is constantly making corrections – each time slowing the boat down. The boat is low on one side. All of these symptoms could be related to one issue – an unbalanced dragon boat. A balanced dragon boat makes for a safer dragon boat, an easier to steer dragon boat and a faster dragon boat. If your boat is balanced the sweep (or steersman) does not have to make so many corrections and therefore does not introduce additional drag with their sweep oar. Faster boat. If your boat is balanced, both left & right and front & back, then it will glide through the water as it was designed to do. Faster boat. This post will show you how to balance a dragon boat – the way everyone else does it and, dare I say it, the right way. How to balance your boat the conventional way. Front half weighs the same as the back half. Left weighs the same as right. Recreational teams partner up paddlers with someone who is more or less the same weight. This will result in an approximation of a left-right balanced boat. But it is not accurate. Competitive teams balance their boat by taking each paddler’s weight and carefully calculating the left and right side weights, as well as the front and back weights. Often they have spreadsheets that will automatically add up the weights – front, back, left and right. That way coaches can know immediately if one side is heavier than the other. Sounds logical, right? Balanced weights equals a balanced boat. Right? If you have read enough of my posts you know I am about to drop a bombshell and destroy that theory. But not quite yet ….. Here is a screenshot of a dragon boat balancing spreadsheet using the conventional method. I have deliberately made it (look) back heavy. If you are happy to use this method, I have provided an online freemium version of the spread sheet here. If you are curious to learn the new way - read on. My philosophy when loading a boat is a little different, OK – a lot different - to many others. Remember back when you were a kid and your dad (or someone heavier than you) would sit close to the fulcrum on a see-saw so that his weight would balance yours? The weight on one side is heavier than on the other but it balances! Hmmm. 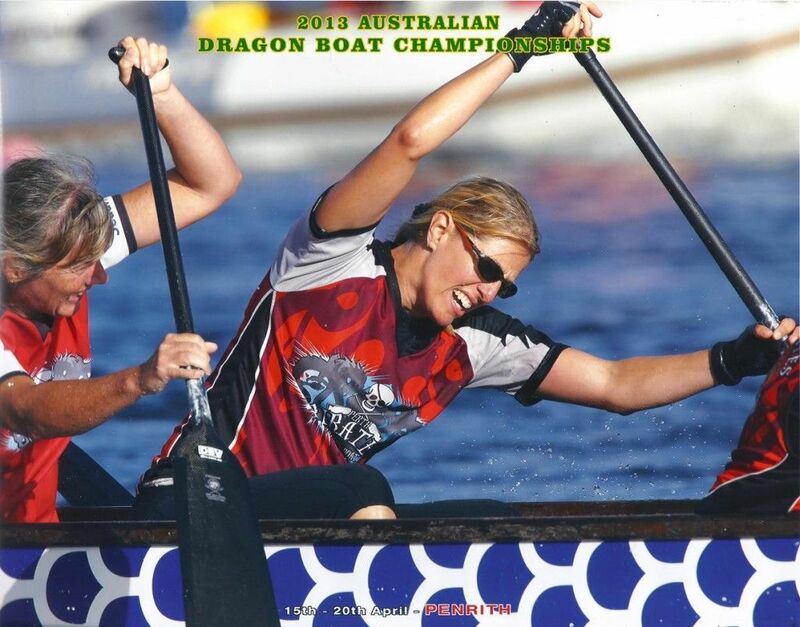 I treat my dragon boats as more like a see-saw. I apply the Principle of Moments. Not only do I record the weight of my paddlers but I also take note of what bench they sit on because it matters. For example, an 80kg paddler in bench 10 puts more downward pressure on the back of the boat than the same 80kg paddler in bench 6. Yet they are both in the back half. Or the same 80kg paddler in bench 6 could be balanced against a 65kg paddler in bench 1. What? The back half can weigh MORE than the front half and yet the boat is balanced? The answer is “Yes”. The back half can weigh more than the front half and yet the boat can be balanced. So to stack a balanced dragon boat, I treat the boat as a see-saw, pivoting around the middle of the boat. Here is how I would stack a balanced Dragon Boat. 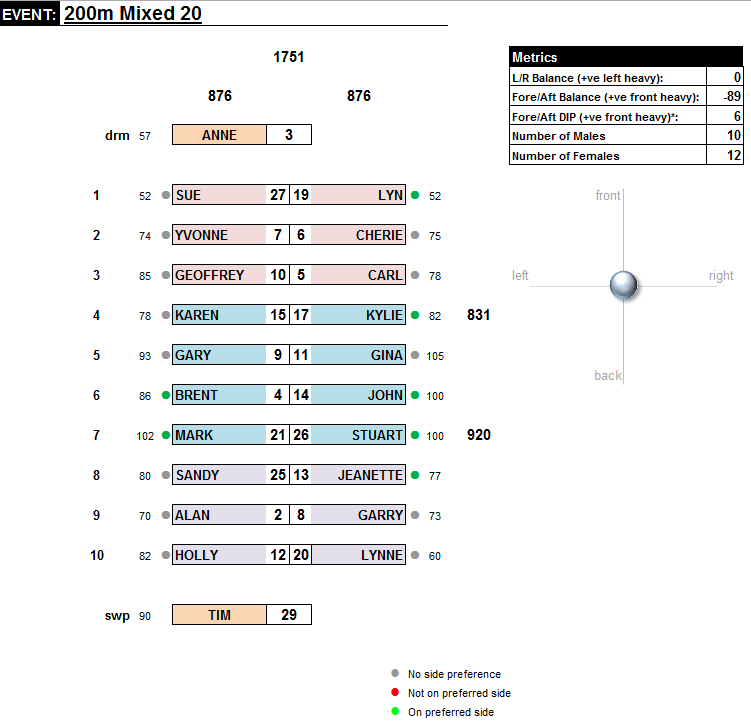 Rank the paddlers by an assortment of metrics including technique, ergo results, timing, etc. That way the best paddlers are given priority when loading the boat. Get paddlers’ accurate weights (strangely, the hardest part). If required, determine the paddlers’ locations in the boat. That is, stroke, or engine room, or near the front, or near the back. I usually determine this from my observations of each paddler and how they interact with other paddlers in the boat. It allows me to put those with a tendency to shorten up, for example, away from or behind my longer reach paddlers. Then I determine if I want my boat balanced, or slightly front heavy. Front heavy?? Yes, front heavy. There are some teams experimenting with loading front heavy boats. I will be writing a post on this soon. When all of that data is locked in, I am ready to do one of two things. I begin to load the boat with my best paddlers, on their preferred side, in their area of the boat, whilst being mindful of what bench they are in so that the "see-saw effect" is accounted for and the boat remains balanced. I swap paddlers from left to right, forward and back until the boat is balanced how I want it to be, with most everyone on their preferred side and in the area of the boat that I want them in. As you can imagine, this can be quite time consuming. I click “Load the Boat” followed by “Balance the Boat”. Yes, my fine Dragon Boat friends – I have created my own program to do all of this for me. Look at the screen shot below (names have been removed to protect the not so innocent). Although the back half is heavier than the front half, the boat is in fact slightly front heavy! Everyone (except 1 paddler) who has a preferred side, is on it. The boat is slightly left heavy but the sweep can counteract that. Now my boats are balanced perfectly every time, in record time. This allows my paddlers to get the best return on their efforts, and the sweeps to have a dream run as the boats now track beautifully through the water. It also allows me the option to quickly re-stack the boat on race day if someone pulls out and a reserve with a different weight jumps in. How much difference does a balanced boat give you in a race? I haven’t tested that yet but it has to be better than an unbalanced boat and even if it is one tenth of a second – how many races have YOU lost by one tenth of a second? Me? Too many!! This program will be available to you online soon but in the meantime if you would like me to produce a balanc ed boat for you, download this spreadsheet, fill it in and send it to me. PS: If you look closely at the Freemium version alluded to earlier in this post you will see that I have included my balance engine into the spreadsheet. You will see Fore/Aft Balance and Fore/Aft DIP numbers. The first is the conventional way of matching weights. The second is my way using the Principle of Moments (think see-saw). My formula is modeled on the Champion Boat so I cannot guarantee perfect accuracy if you have a different boat. Play with the sample data and see if you can generate a balanced boat even if the weights don’t balance. I love this article! Very great. Is the program available now? Thanks for your reply. The program is not available yet. I am going to make it available as a free service online. Stay tuned…..
An older post as I commented 2 years ago 🙂. Let me guess, load the boat front heavy and the bow cuts through the water better than a back heavy boat which plows like tug boat ?? 🙂 Due to the narrower portion of the bow touching water first vs the wider areas further back? Stern squat. When a boat is pushed close to its “maximum hull speed” the stern will squat down into the water. I have carried some on water trials since the original post but I have yet to get any significant data supporting the loading of the front. 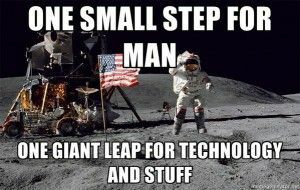 Although the tests weren’t at race speeds. But I haven’t given up yet..
I’ve been waiting for the ‘full’ version….thanks! It seems that different makes of boats handle slightly differently. We paddle both Champions and Buk and there is a slight but noticeable difference between them…could have something to do with the position of the sweep/helm perhaps. Whatever…get it right and it feels and handles well….get it wrong….urgh! If you have access to both boats, I suggest you do a little experiment. 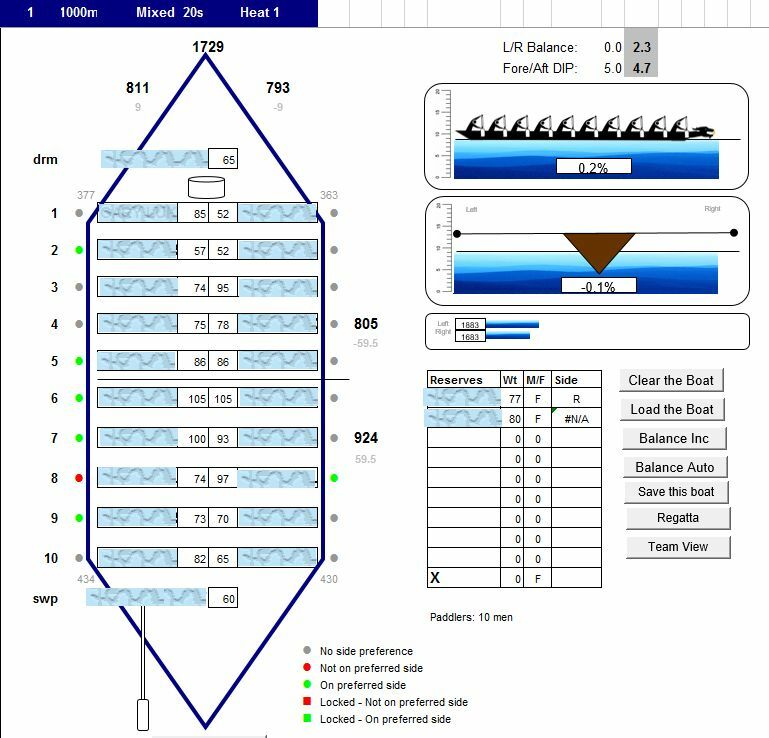 Measure the positions of the seats for both, load both boats the same and observe any difference in handling. Then rebalance the BuK boat so the sum of the front/ rear momentums are the same as for the Champions and see if the handling changes. 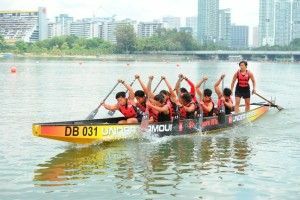 Why would balancing a dragon boat front heavy result in a faster time? 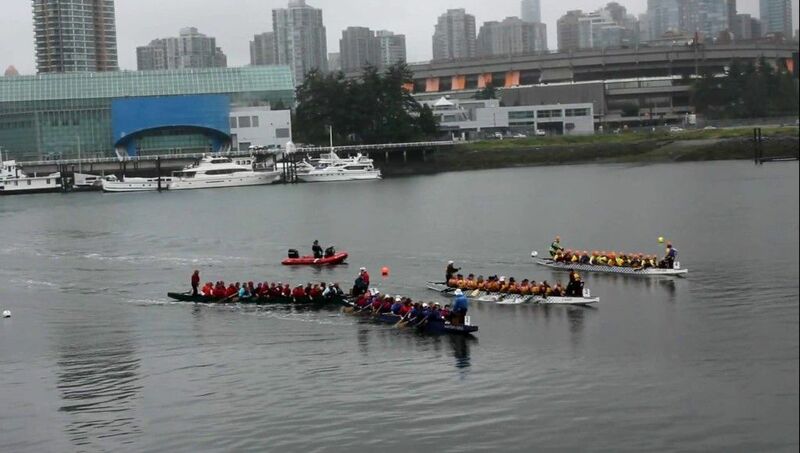 Why would a front heavy dragon boat travel faster? Geoff Roberts. Yes different boats perform ,well ,differently. Even different models of Champion. What I hope to instil in coaches is measure, measure, measure. It’s the only way to find the real answers. I am more than willing to post coach’s findings. I asked Champion and they recommended slightly back heavy for their boats. Hope this helps. OK. That is interesting. I would like to know why they would design a boat that didn’t perform at its optimal when it was balanced. Also if you read my post about hull speed it would seem to me that a back heavy boat would make things worse when trying to exceed hull speed. Hey, I’m interested in trying out this program. Will it be available any time soon?